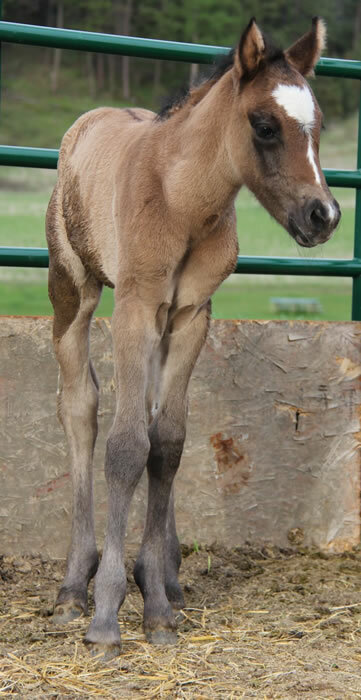 The 2014 Foals are all here and what a nice looking group they are! 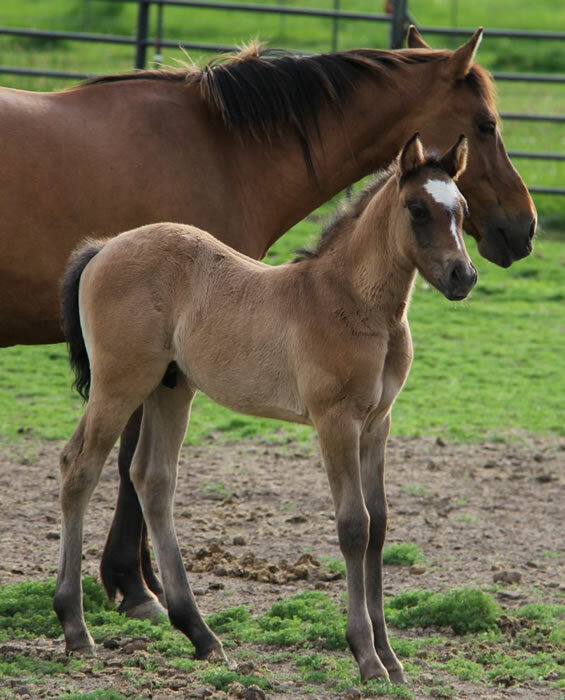 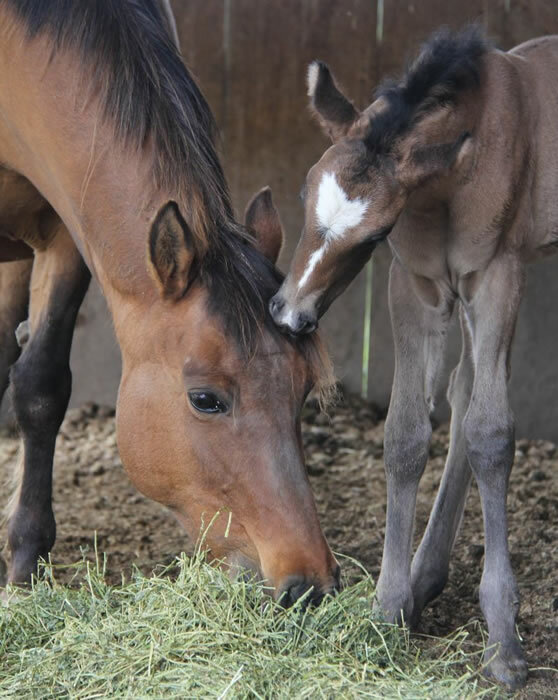 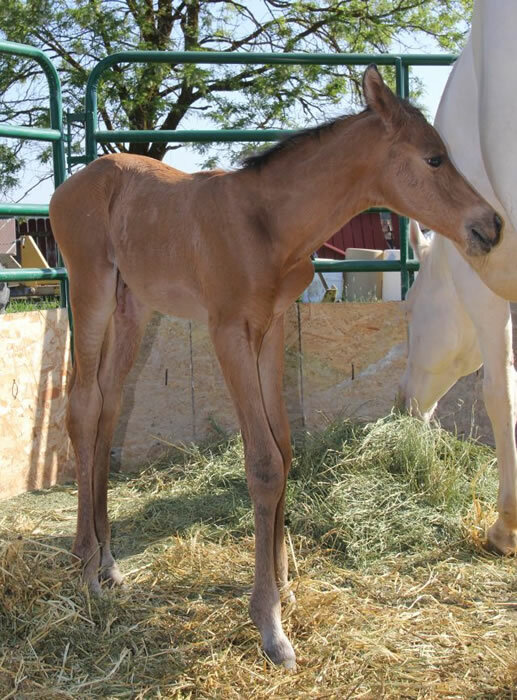 May 1, 2014 ~ first foal born was a Arabian/Kiger mustang dun colt. 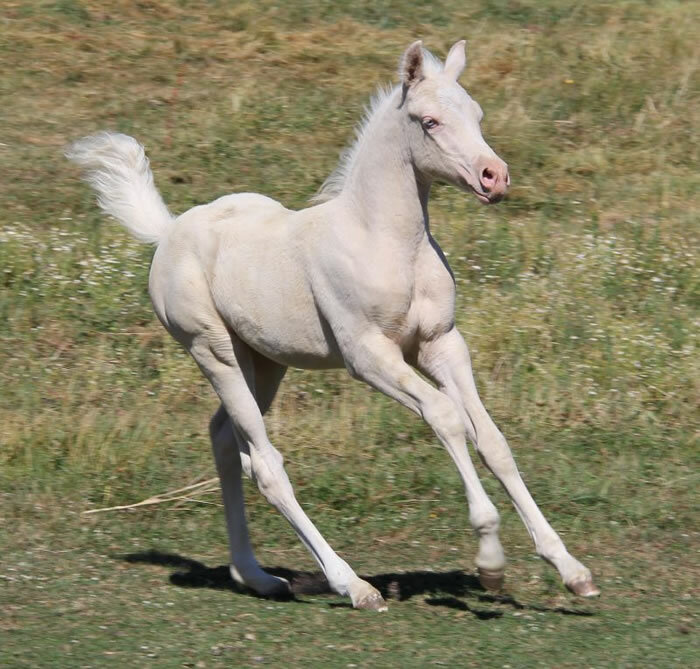 This guy is all athletic muscle and action! 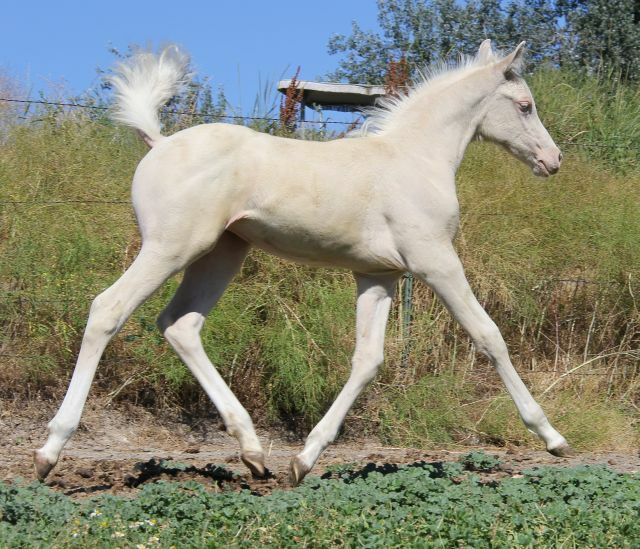 Bred to be an endurance candidtate with the speed, stamina and athletic ability of his Arabian race sire balanced with the strong bone and laid back temperment of his Kiger mustang mother. 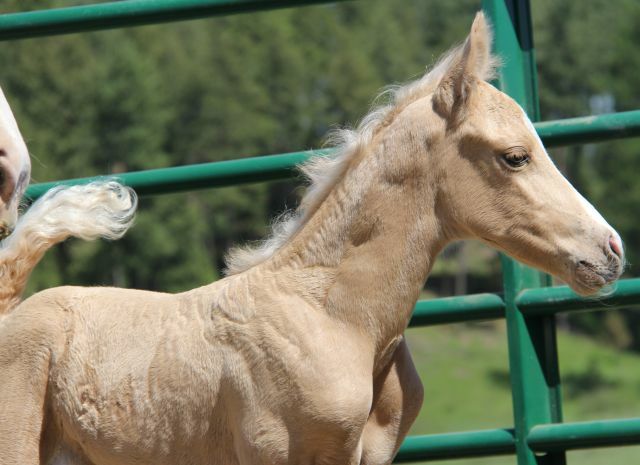 Endurance riders....don't miss this one! 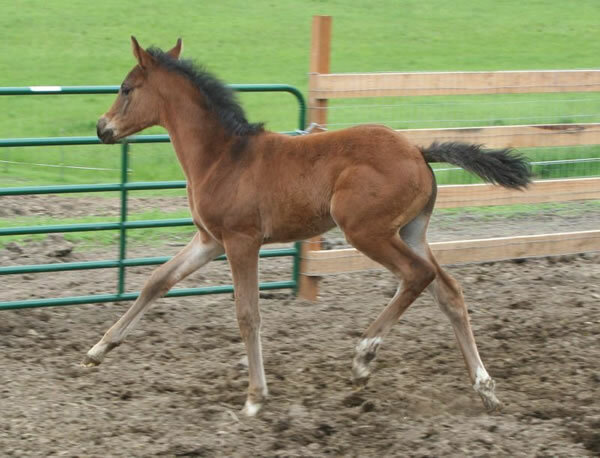 What a future performance champion gelding this guy will make! 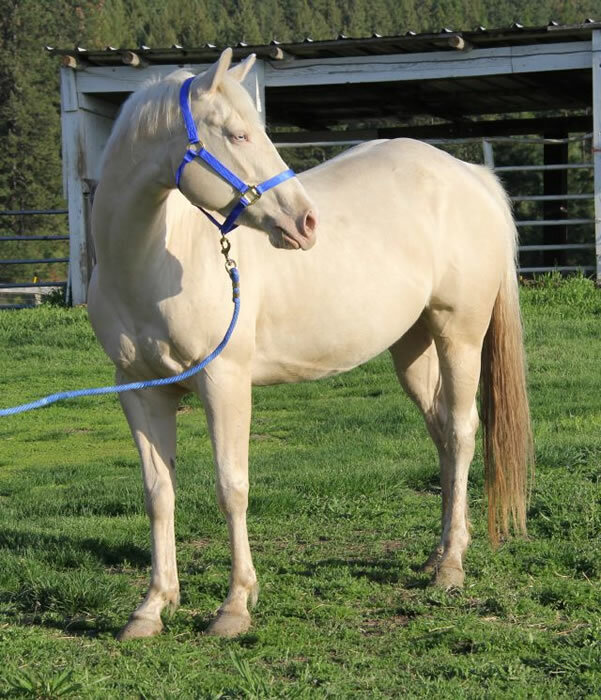 His Arabian sire SW Ferrari is already turning heads in the Northwest as a regional champion and Bu's dam is sired by the famous Vanilla Zip whose palomino half Arabian off spring have nationally cleaned up in the show ring! 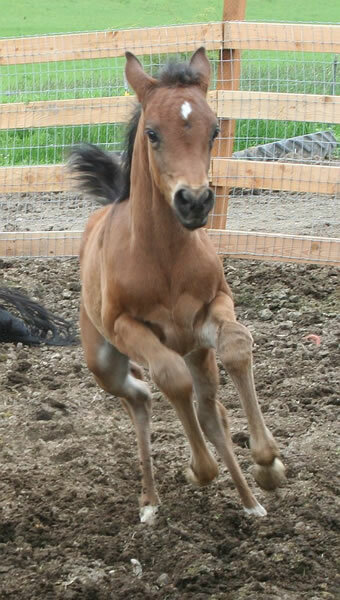 Bu ("Boo") has already charmed us with his personality! 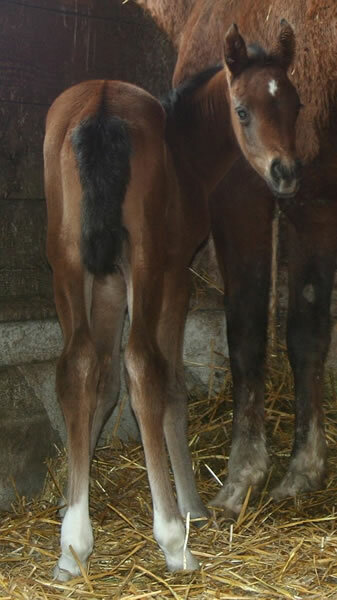 Don't let this one get away as we already have international inquires on him. 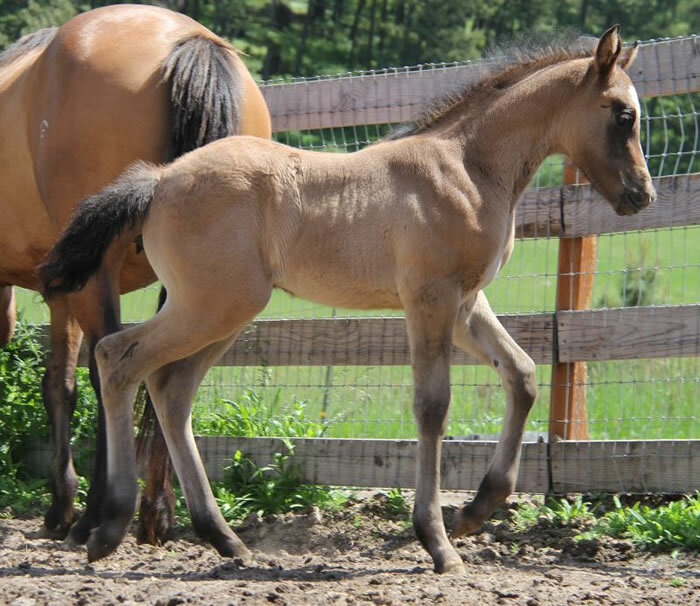 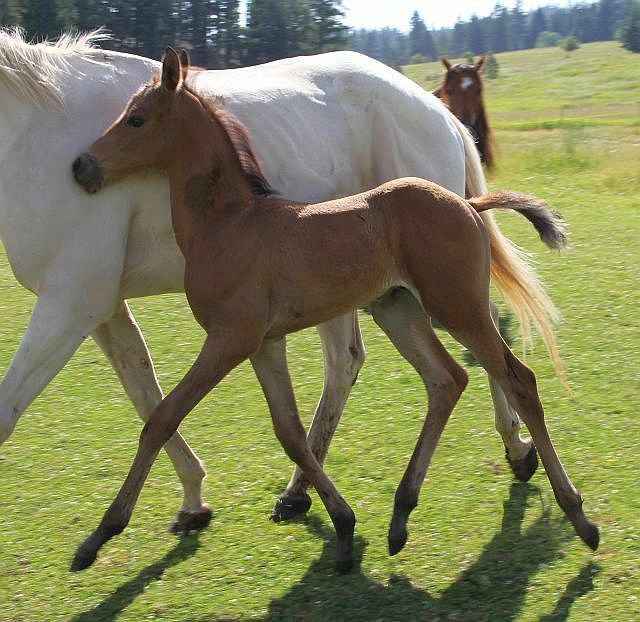 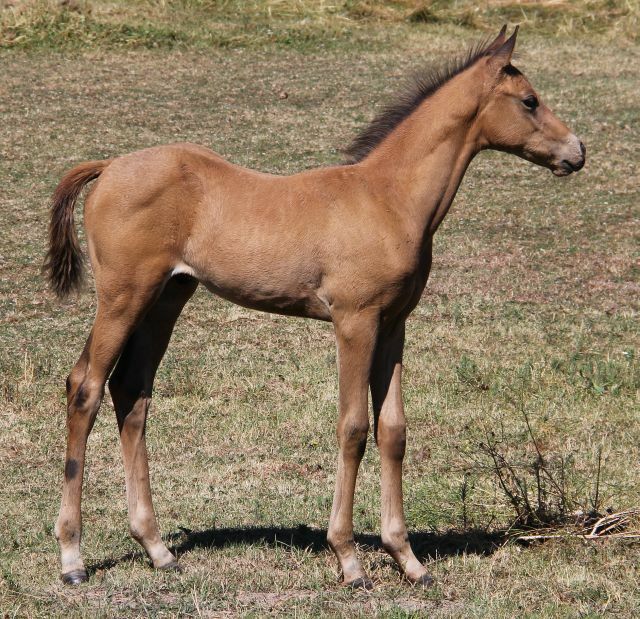 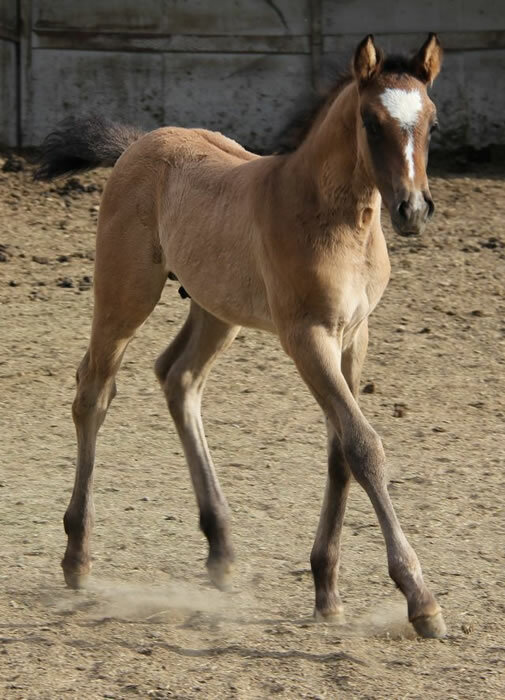 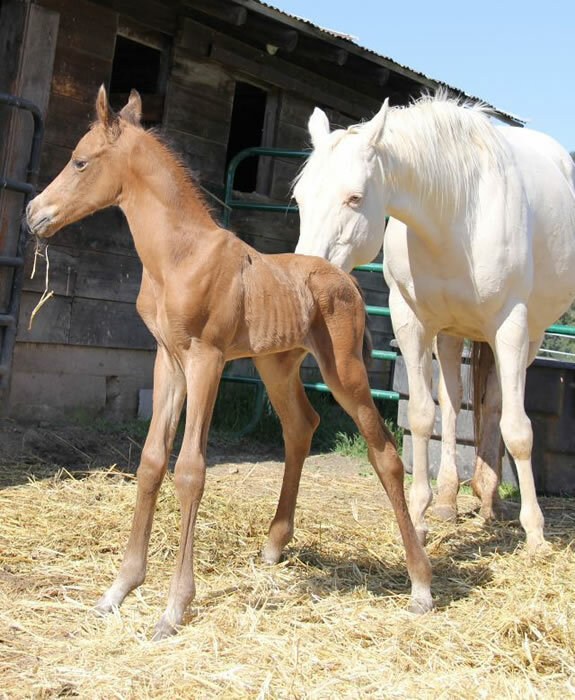 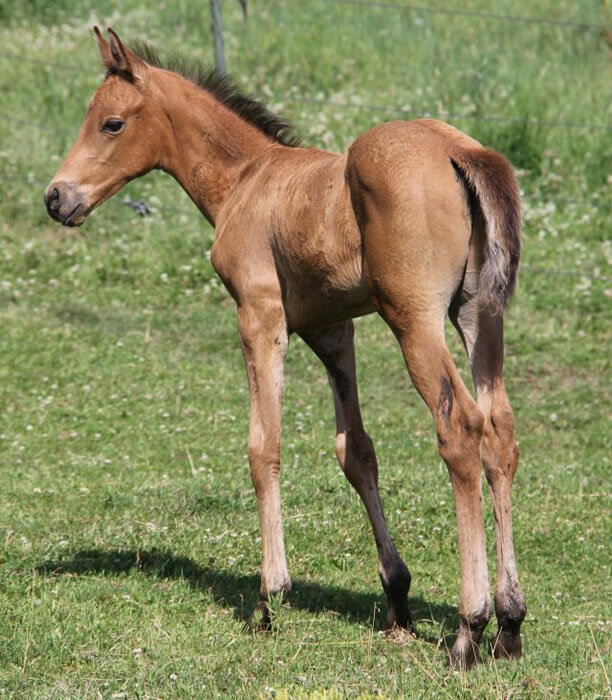 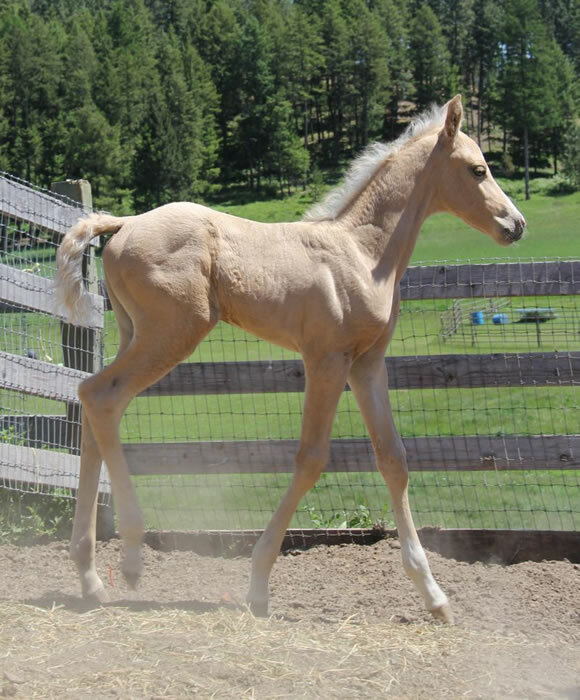 If there was ever a buckskin colt born with LONG legs...this is the one! 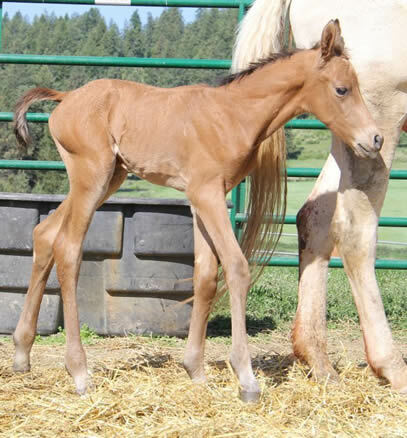 Measured over 41" at the withers when he was born with most of that leg. 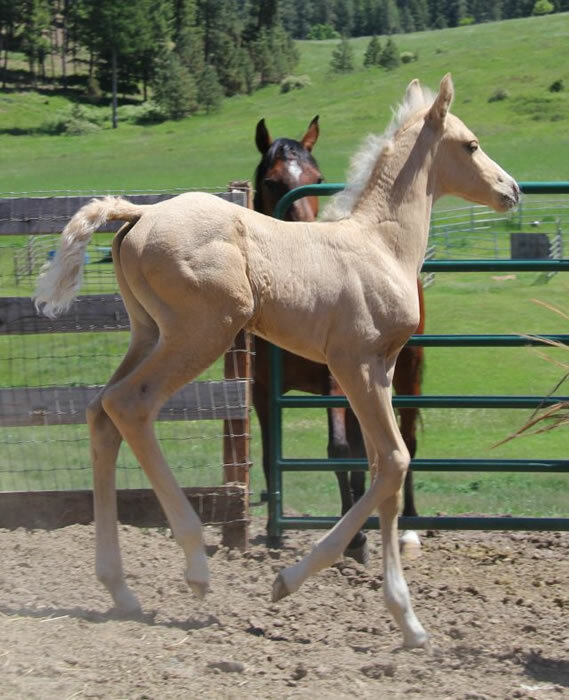 Conformationally athletic also, he bounded up all by him self and was shortly nursing! 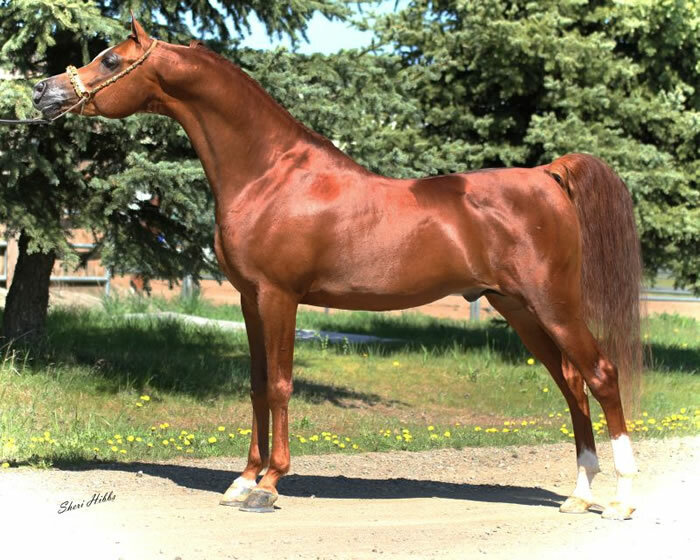 His sire is the beautiful Arab chestnut stallion SW Ferrari, a regional halter winner and 15.3 hand georgous guy! 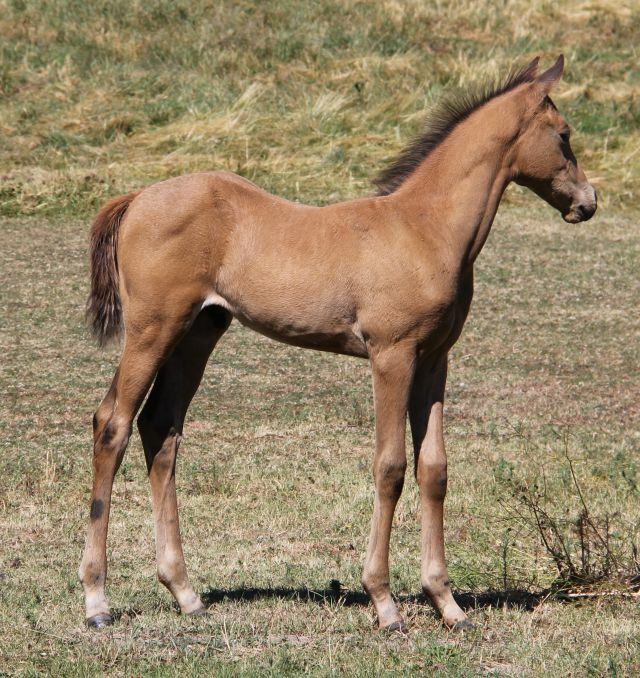 Mr's dam Missy, our perlino quarter horse mare, continues to produce big outstanding foals with plus athletic conformation and the sweetest attitudes. 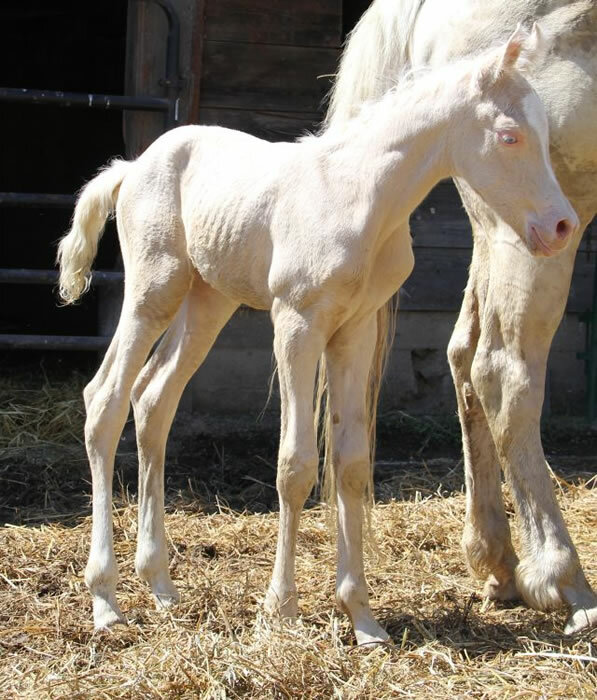 Only 1 day old! 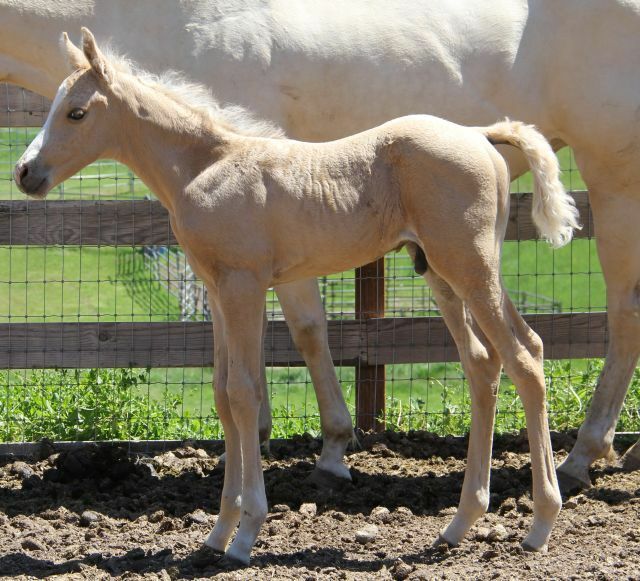 Measured 43 inches at the withers when he was born! 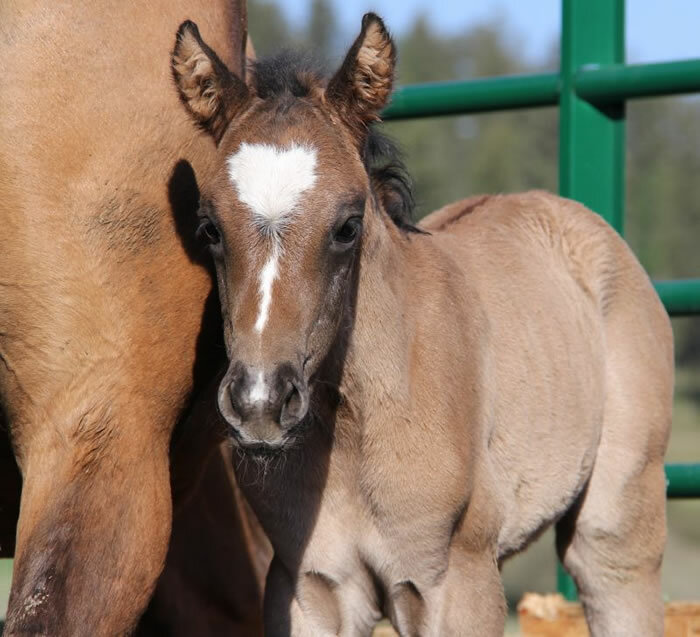 Finally ... a filly this year! 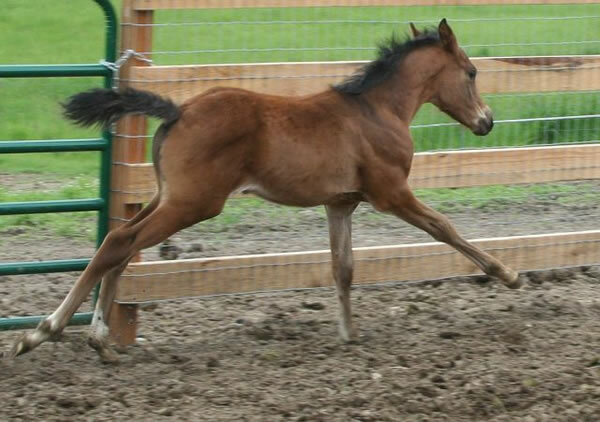 And what a filly she is! 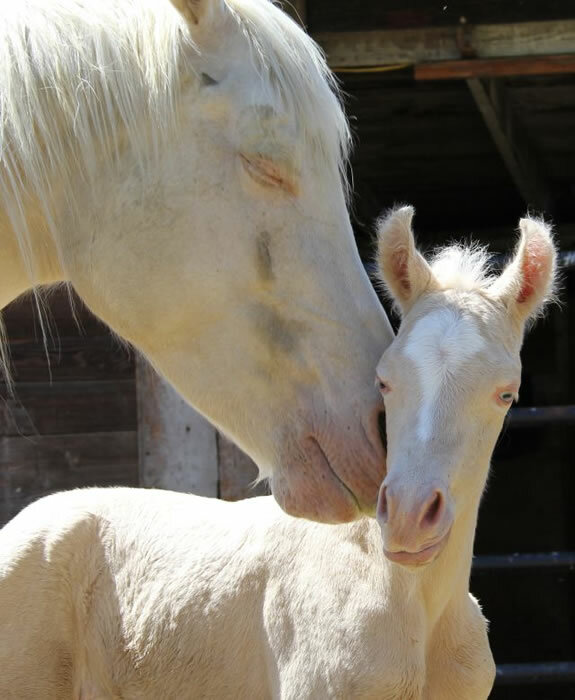 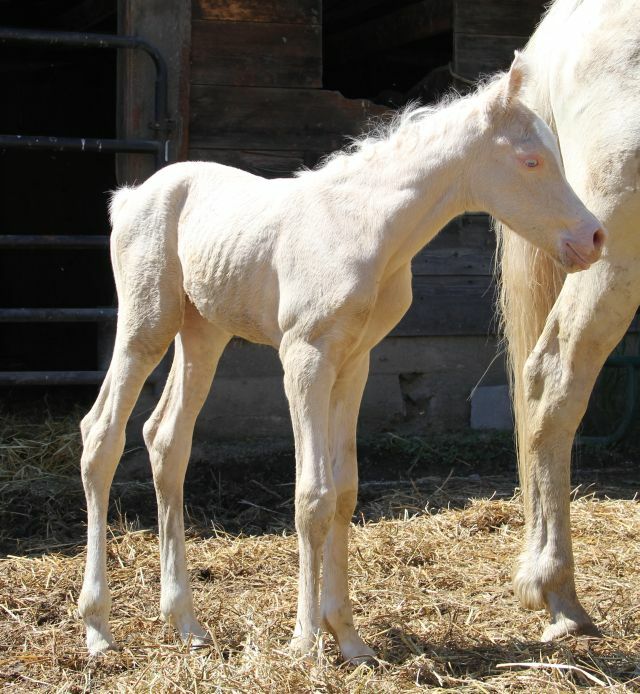 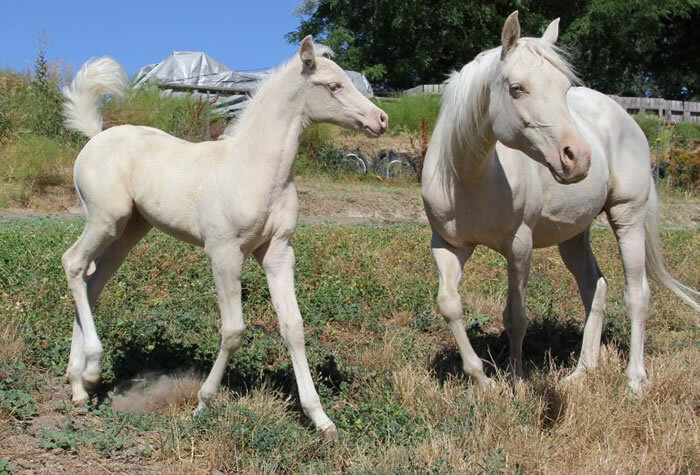 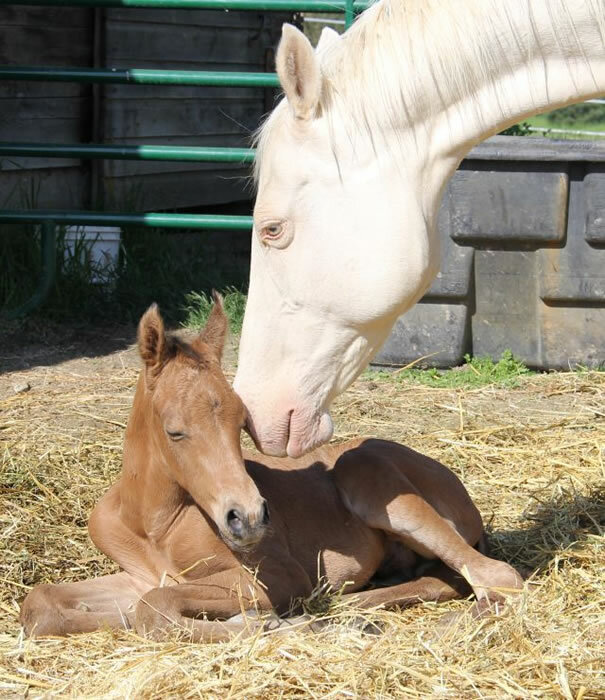 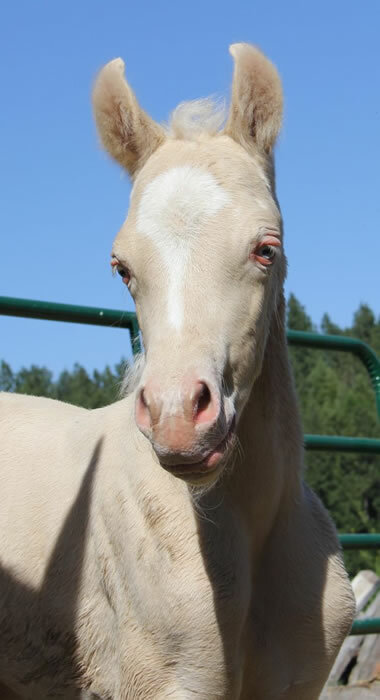 A beautiful cremello filly with a big dose of Arab blood from our 7/8 Arabian palomino stallion, Promise, and the oh-so-sweet half Arab cremello mare, Creme de la Creme. 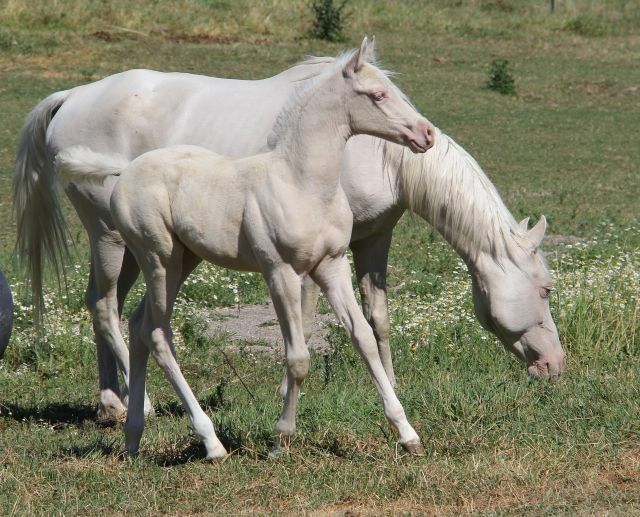 "Cream" is the perfect example of the Krisean breeding program as her dam is by our perlino stallion Commander. 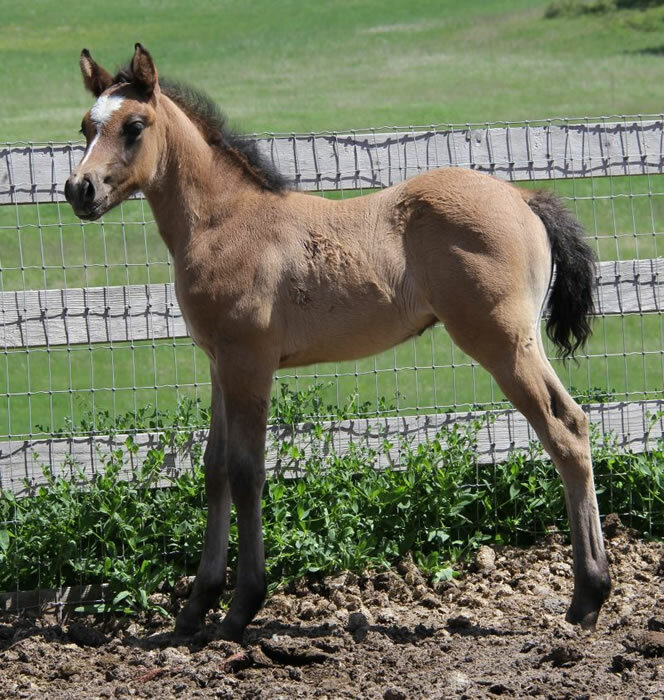 But color is only the frosting on this little cupcake as this filly has great conformation, Promises's nice long straight legs, a nice way of moving and her dam's sweet personality. 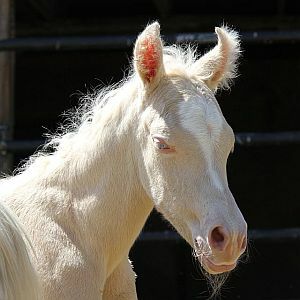 Sweet Cream she's a nice one!!! 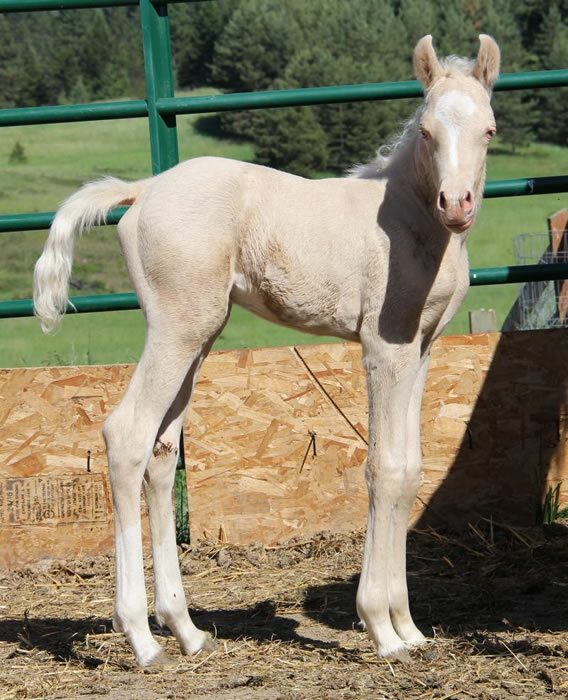 One day old and already a blue-eyed charmer! 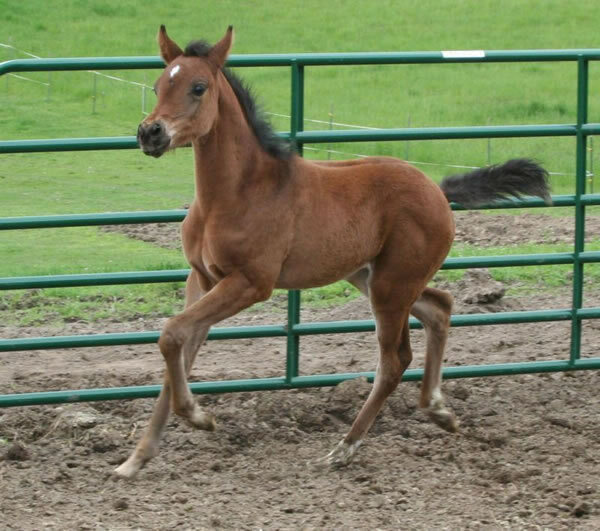 2011 Arabian Bay Race Filly ~ NOW FOR SALE! 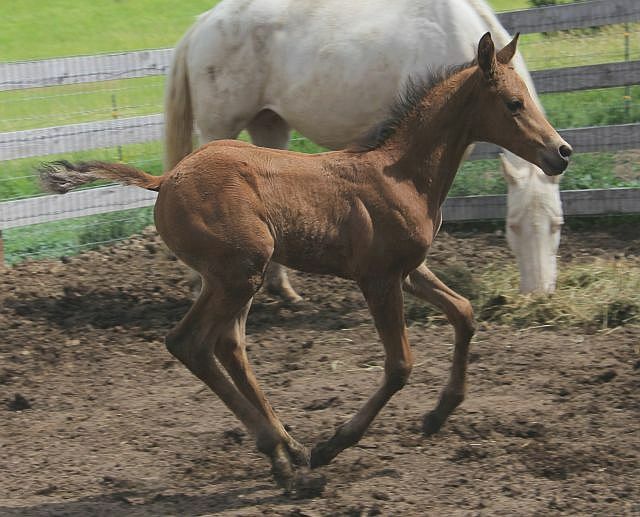 Look at that race stride already! 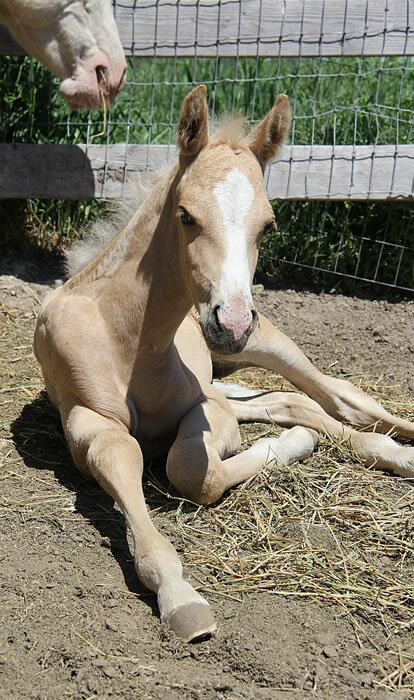 We're sure this one's a future winner and such a sweetie too!